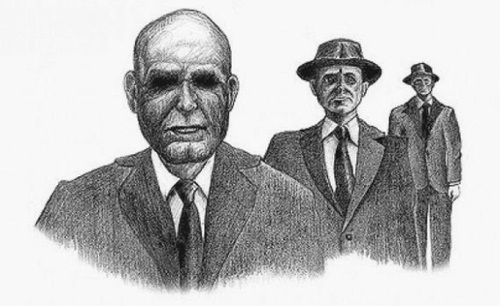 Sketches of the Men In Black based on the descriptions of Society eyewitnesses. These "men" have been confirmed to be employed by the Bureau. However, their exact function is unknown due to the Bureau's unrelenting confidentiality on the subject. Of course, the Society has unofficially speculated that their function is mainly interrogation, intimidation, or "advanced interrogation" of Normans who are outspoken about the existence of the paranormal, the Bureau, and the Society. They are sometimes seen acting as bodyguards for the Chairman due to their observed superhuman strength, reflexes, and intelligence. When guarding, the aberrants generally do nothing except stand around menacingly and snarl. Their presence in a room makes everyone uncomfortable - likely why the Chairman brings them to meetings with the Circle. The Circle has literally never entertained the idea of attacking the Bureau and likely never will. It's to be noted that the current designation as Evergreen is extremely contentious among warders. However, keep in mind the topic of the Men in Black is forbidden at any state or national Society campfires. Partially out of respect for our colleagues at the Bureau, but mainly due to my own personal annoyance at colleagues arguing over the designation. If you want a more accurate representation of their type, then go ask them yourself. Tell us how it works out for you. 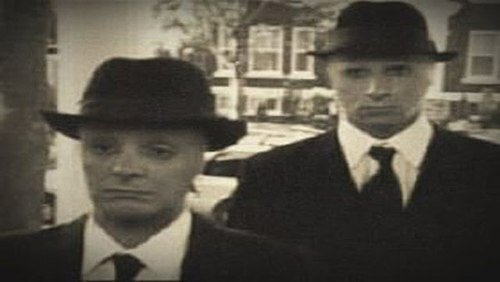 Background: In the early years of the Bureau, the Men in Black have been employed as a catch-all for dealing with Normans who had encounters with aberrants. However, at its conception, the Bureau was much less skilled in the entire subterfuge business than it is today. There was a lot of footage from the '50s and '60s of these guys just being thugs. Thus, these missteps have cemented the Men in Black in their role in popular culture1. However, as a beneficial side-effect, only Normans who were hysterical about ET's reported their existence. The Bureau has leaned into this role, fully embracing the paranoid and conspiratorial nature of these rumors. Today, as a result, nobody can reveal that they were visited by these aberrations or they face ridicule at being another conspiracy/UFO nut. One such instance of a MIB video leak. Clickable. 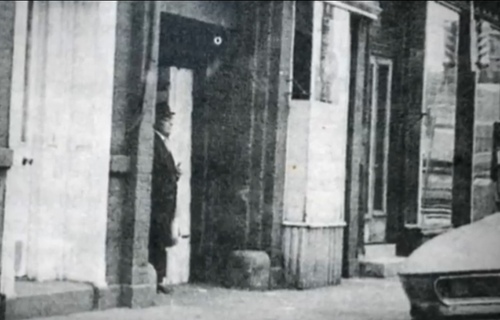 In the preceding video - grainy as it is - the Men in Black are dressed in black suits and trench coats. They also appear exactly the same as in other, much older videos, suggesting immortality. Hence, tentatively Evergreen. I can hear you whiners screeching already, I am not changing this article, and neither are you allowed to request access to the article to make “grammar fixes”. 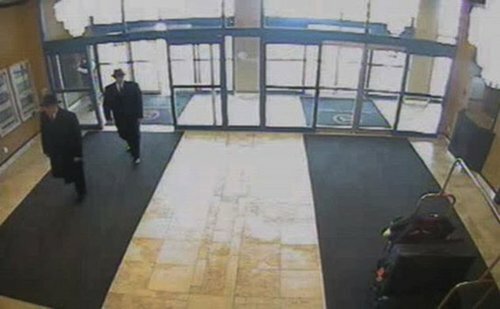 Location and Population: It is unknown how many Men In Black exist, but there are two confirmed instances. Hunting or Procurement Methods: Some members of the Society are vocally opposed to the notion of being required to accommodate the MIB. While understandably creepy, remember; these guys can tear a bear's head off with their bare hands. And yours, probably. Personally, I would feel much safer with one of these guys watching my back. Certainly better then them tailing you afterwards out of spite. Encounter Records: The Bureau is careful not to allow any footage of their operatives displaying paranormal abilities. They were however, kind enough to send us a thinly veiled threat. The following is a video of the Men in Black demonstrating supernatural abilities with the backdrop of the Chairman being the Chairman. Enjoy. Great Circle member Dane is in his office in a seemingly subterranean enviorment reading DCC records. On the walls of his room is the head of a taxidermied Bigfoot, along with an assortment of other otherworldly creatures. Behind him is a large portrait of the Society’s founder, Nate Ingram above a burning fireplace. A knock is heard. A pale, graying woman enters the room. She is wearing a simple Italian-cut suit. Dane looks up from his paperwork. He glances at the The Chairman but then returns his gaze to his papers. Dane: Sorry if the place is a bit messy. I wasn’t exactly expecting you to show up today. You never do give me any time in advance, you know. The Chairman: I don’t mind. I’m here to talk. Dane: Before we start, I have to ask. Did you bring them here today? The Chairman: They are here to protect me in case I get attacked by some of the things you have housed in here. Don’t mind them. This room is sound-proof, no? I’m sure you wouldn’t mind if I invited them in. They’re good boys. They won’t do anything. Suddenly, without The Chairman prompting them, two men in business attire walk inside of the room, then promptly stand in front of the door. Their grip damages the doorknob. The Chairman: Unless I make them. Dane appears visually perturbed and shivering. He shifts slightly in his seat. His breath comes out as a cloud. The Chairman: Okay, no more small talk. I think you already know why I’m here. The Chairman: Ahh, I remember the good old days, Dane. Before you were a Great Circle member? When I first met you with my two colleagues here? Dane: You scoffed at me and spat on my feet. You told me that I wouldn’t amount to “garbage on a hot summer day”. Just get to the point on your proposition. The Chairman wrinkles her nose and frowns, but slowly smiles again. The Chairman walks around the room for a moment, and then stops in front of Dane’s desk. She begins to speak. The Chairman: I know some very powerful people that would love to meet you if they knew about the existence of this wonderful organization you have. We offer to be a mediator of sorts. Think about it for a moment. A team comprised of two influential clandestine organizations backed by your militia. The paranormal things that stalk this earth would be defenseless. Dane: We have had this conversation before. Why would we change our position now? The Chairman turns her back towards Dane. The Chairman: I am appealing to the best interests of the Wayward Society, Dane. If you keep denying those wanting to help you, this sudden boom from your recent recruitment efforts will peter out and you will have nothing. The effort your organization has gone through has helped you so far, but it’s time to consider other options, Dane. Dane: Are you implying that what we have been doing for over three hundred years suddenly needs to be changed? Keep in mind that our organization predates yours by about two hundred and twenty five years. What about that recent attempt on your life, Ms. Chairman? It seems that now you are the ones on the decline. I appreciate the offer, but we don’t need your help as of now. The Men In Black at the back of the room snarl and shift agitatedly. The Chairman: Well, I see my efforts to persuade you were unsuccessful. I will be taking my leave. The Chairman begins to step towards the door, but turns around. Dane: I am going to stop you right there. The answer is no. Even our closest allies can’t know that information. Without a word, the Chairman turns around, and quickly steps towards the door. Dane looks towards his paperwork again. As the Chairman leaves, frost grows in the corners of the room. The fireplaces extinguishes, and the light-bulbs in the room explode, plunging the room in darkness. The Men In Black make way for The Chairman, and open the door so she may leave. They glare at Dane, and then exit as well. The doorknob is almost completely pulverized. After The Chairman leaves, Dane relaxes. He raises his hand, revealing a singe-mark on his arm rest. He then snaps his fingers, reigniting the fireplace. Update: As of now, this page is locked because the Society is full of bellends that can't accept a classification they disagree with. 1. They have had three movies made about them. Three.